Interesting timing with US Department of Transportation releasing this handy toolkit about how to influence and/or stop bad infrastructure projects. The Quick Guide is a high level overview of the Transportation Toolkit. These stories highlight members of public like YOU and the impacts they had on transportation in their communities. Each storyteller describes how a transportation plan or project has increased the community’s access to opportunities including work, school, transportation and recreation. These individuals saw a transportation problem in their community, got involved in the decision-making process, rallied their communities, and created change. We hope these stories inspire you to read the Transportation Toolkit and get involved in transportation in your community! Help you plan a Leadership Academy in your community! Invite your neighbors to learn from the Toolkit. Help you and your community figure out how to transform knowledge into action. 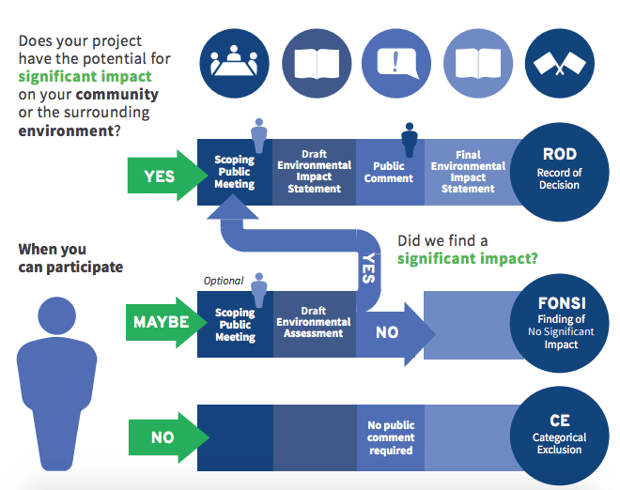 The exercises and activities in the Facilitator Guide can help you better understand the transportation decision-making process and help you figure out where you can get involved in local and regional transportation projects. Note: Given the broad range of experiences and needs of different communities, some of the exercises or activities may need to be adjusted to fit your community. You will also find resources to support those who have limited facilitation experience e and resources to improve your intergroup communication skills.